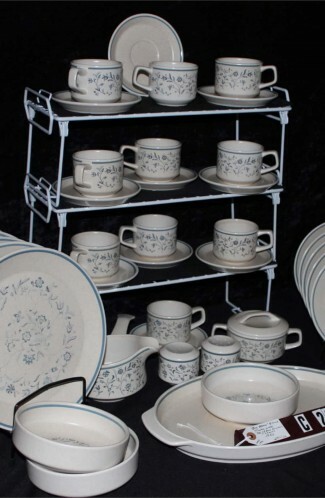 Vintage - Winterling China Pattern "WIG163". 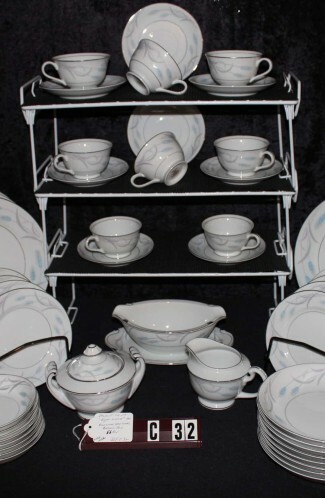 A Service for (8) Eight, made up of (54) Pieces, Produced from 1956 to 1960. 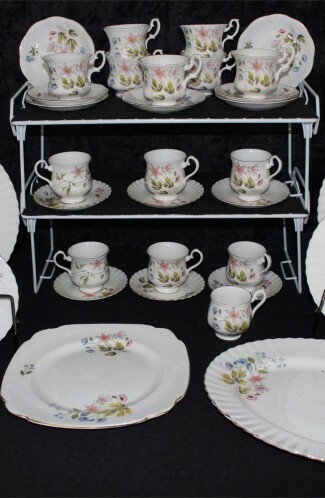 A wonderful Pattern which consists of a White Background with Pink Roses and Green Leaves scattered across the Scalloped Shaped Pieces... with 22kt Gold Trim on Rim. 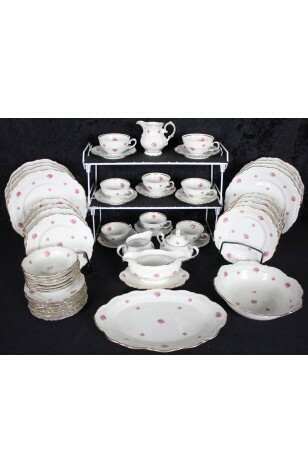 This is a lovely Pattern to use for a Special Tea, Everyday, or a Casual Dinner Party. 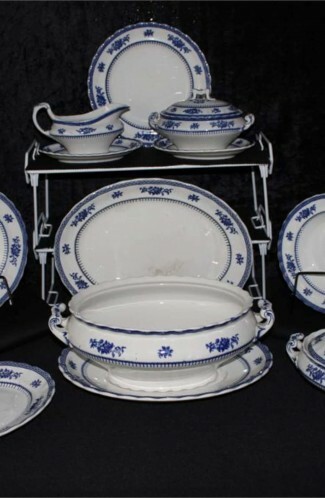 8 - Bread Plates - 6 3/8"
8 - Salad Plates - 7 5/8"
8 - Dinner Plates - 10 1/8"
7 - Fruit/Dessert/Sauce Bowls - 5 1/2"
1 - Creamer - 4"